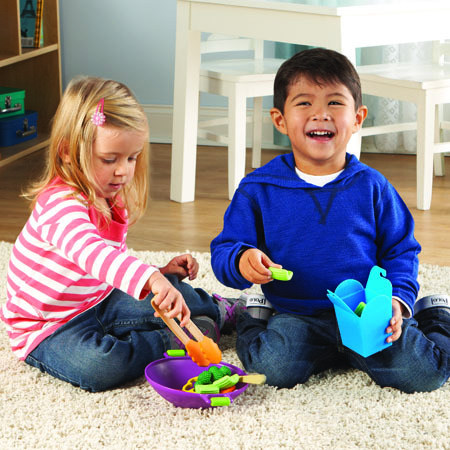 Encourage imaginative play, social awareness skills, Stir fry for small fries! 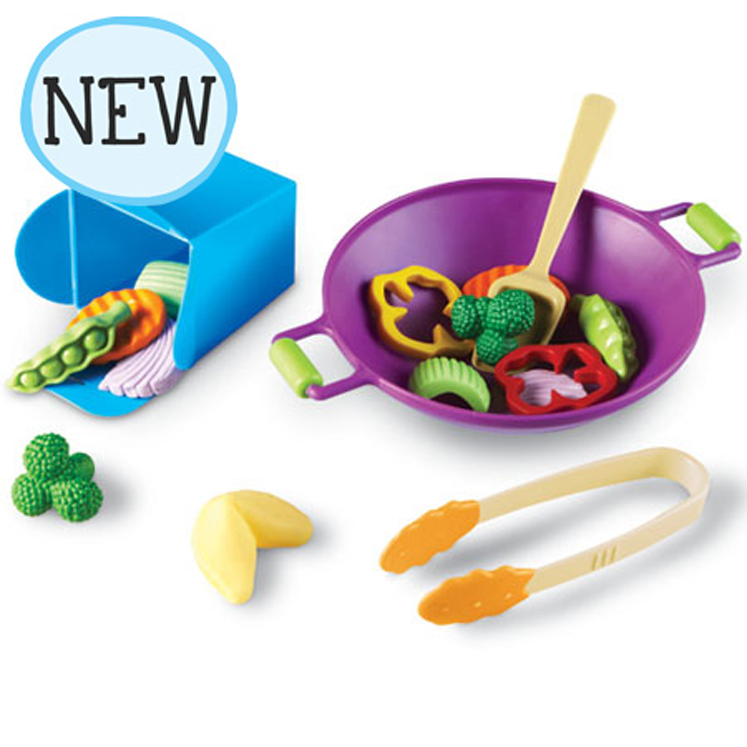 Help your child cook up a healthy selection of vegetables in their very own wok. 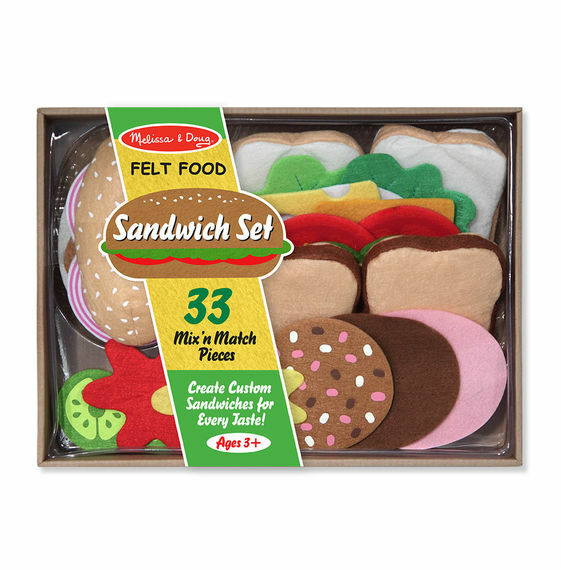 Fill up the to-go container once the meal is ready. 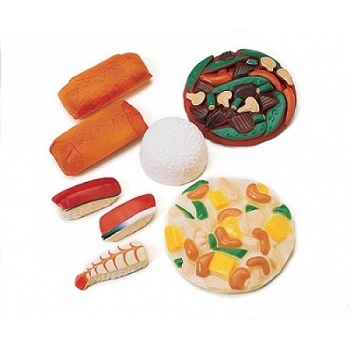 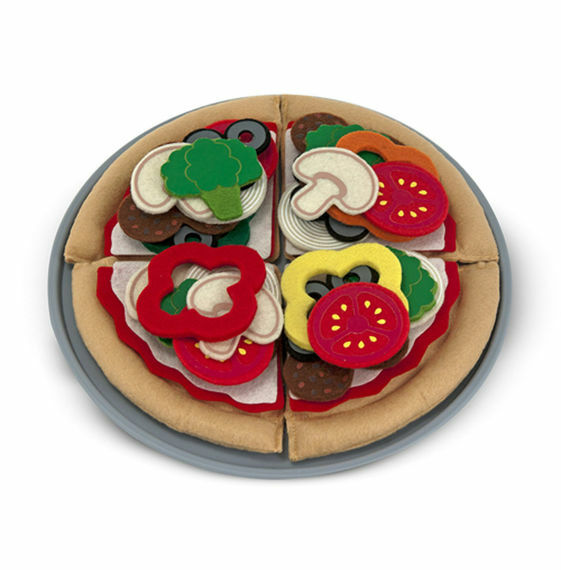 This colorful set builds upon imagination and creativity with a special culinary experience. 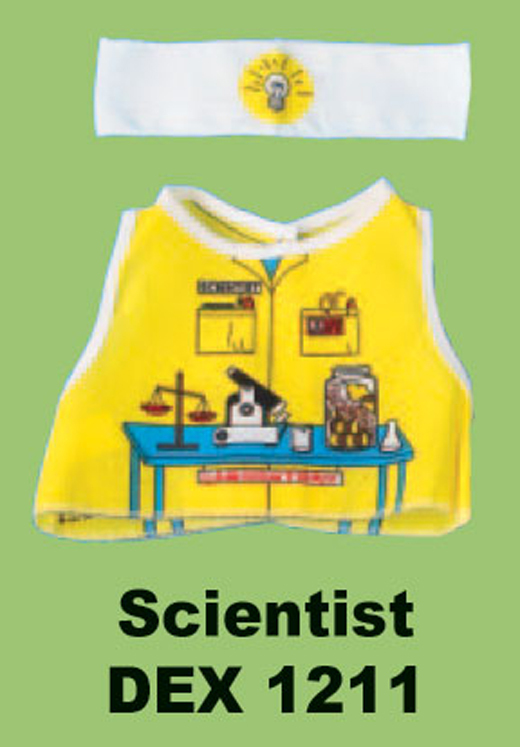 Perfect for any very young, aspiring chef! 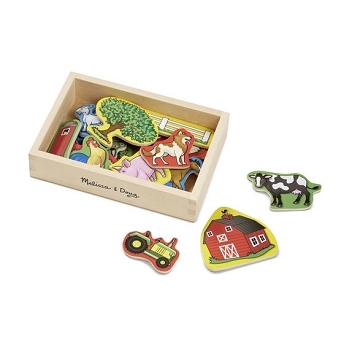 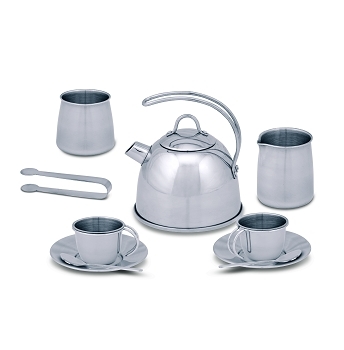 Made from durable plastic and sized for small hands. 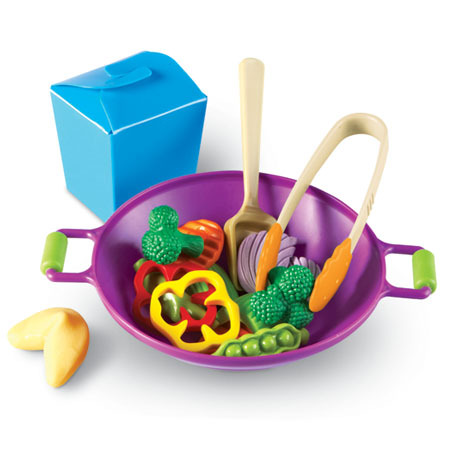 Wok measures 7"L. Ages: 2+.